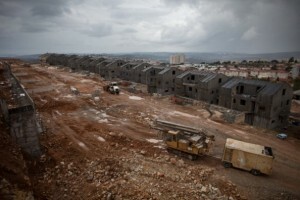 Israel has vowed to push ahead with plans to construct thousands of new homes in occupied East Jerusalem, despite strong UN condemnation. “We are going to build in Jerusalem for all its residents, this is something that has been done by all previous governments and this is something that my government will continue to do,” said Israeli Prime Minister Benjamin Netanyahu during a meeting with foreign ambassadors Wednesday. Earlier, all members of the 15-member UN Security Council – except the US – publicly condemned Israel’s plans to construct thousands of new housing units and expand illegal settlements in the West Bank, Jerusalem neighborhoods, and surrounding areas. The Security Council called on Israel to halt construction and expansion activities but stopped short of pursuing formal action, such as drafting a resolution, for fear of a US veto. UN Secretary-General Ban Ki-Moon said Israel’s housing expansion threatens efforts to establish a viable Palestinian state. “I call on Israel to refrain from continuing on this dangerous path, which will undermine the prospects for a resumption of dialogue and a peaceful future for Palestinians and Israelis alike. Let us get the peace process back on track before it is too late,” Ki-Moon said. According to The New York Times, Israel will construct 1,000 housing units in the West Bank and another 2,610 in Givat Hamatos, a new neighborhood in East Jerusalem. The Ramat Shlomo settlement in East Jerusalem will see an expansion of 1,500 housing units while another 1,000 units will be constructed in Gilo. Palestinians say East Jerusalem will be the capital of a future independent Palestinian state and that Israel’s latest push will make that impossible because it divides their lands. An angry Mahmoud Abbas, the Palestinian President, had earlier hinted that he would file a complaint with the International Criminal Court in a bid to pressure Israel to rescind its latest expansion plans. Israeli analysts say the construction and expansion plans are a punitive response to the Palestinian’s successful observer status bid at the General Assembly in late November. But they also believe Netanyahu’s hardline position is helping to strengthen his re-election bid ahead of elections next month. A recent Israeli poll showed that more than 80 per cent of Israelis expect Netanyahu to be re-elected as prime minister.